It was a busy week at the 7th Multilateral Initiative on Malaria (MIM). 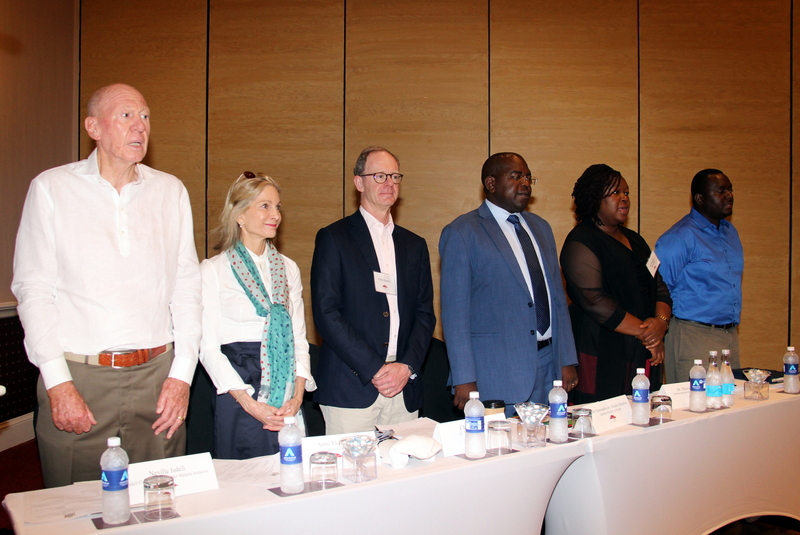 The mass of information presented in panels, plenaries and symposia was diverse, with researchers, health workers, program managers, ministers and others working to eliminate malaria on the African continent and globally, learning, teaching and networking with each other. 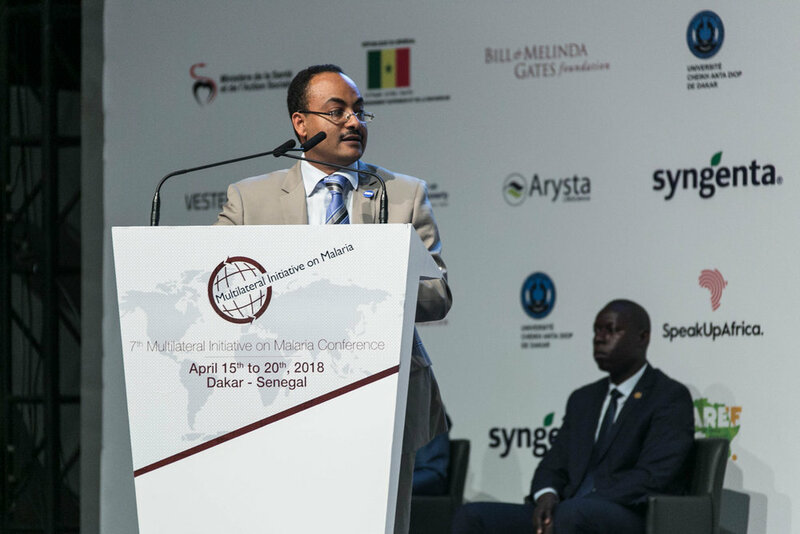 Below are some of the highlights from the week including a look at recurring themes, side events, and exhibitions from the six-day conference that hosted more than 2,000 participants at the Abdou Diouf International Conference Center, Diamniadio, Senegal, from 15-20 April 2018. RBM Partnership to End Malaria CEO Dr. Kesete Admasu giving opening ceremony remarks on the first day of MIM. Sunday’s opening ceremony set the mood for conference goers, reminding them of what MIM has achieved so far and what to expect in the future. 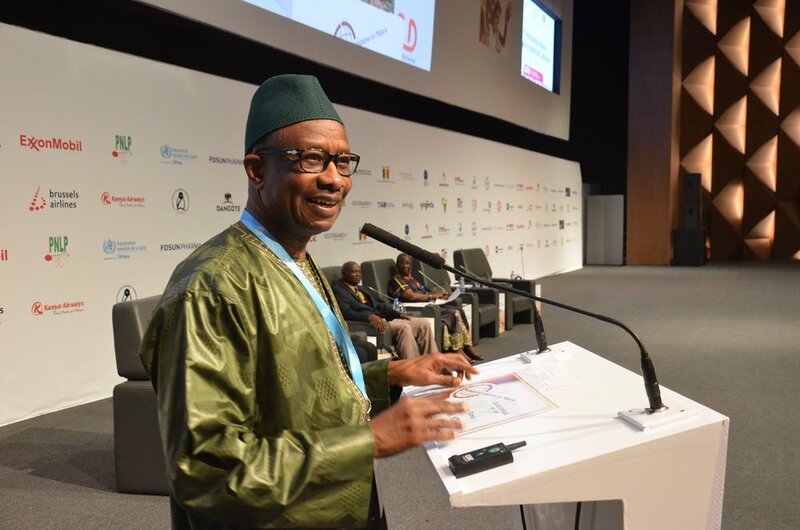 The acceptance of the African Leaders Malaria Alliance (ALMA) Award for Excellence by Senegalese President H.E. Macky Sall at the ceremony was a great opportunity to reaffirm the message that malaria elimination is possible. The second plenary session, on Monday morning, led by Dr. Pedro L. Alonso, Director of the World Health Organization’s Global Malaria Programme, and Dr. Fred Binka, Coordinator of WHO’s Mekong Malaria Elimination Project, introduced statistics confirming that although it is possible 2020 elimination targets will be met in the 10 most endemic countries, morbidity and mortality targets may not be reached. “Malaria can be diagnosed and is entirely treatable. No one should be dying of malaria. Wherever you are in the world there are drugs available,” affirmed Dr. Alonso as he discussed “Malaria Control and Management”. The session also introduced a key theme that was widely discussed throughout the week: how to re-energize stagnant funding and replace outdated tools and behaviors. “We can have all the best tools, but without the proper behaviors we can’t get to our goals,” remarked Dr. Binka during his presentation on “Health Systems”. Another theme heard throughout the week was a call for cross-border collaboration for innovation and problem solving. On Tuesday morning, Speak Up Africa, PATH, and the RBM Partnership to End Malaria hosted National Malaria Control Program (NMCP) Managers from across Africa at an informal breakfast meeting to introduce preliminary plans for the pan-African scaling of Senegal’s successful malaria elimination mobilization campaign, “Zero Malaria Starts with Me” by the African Union Commission and RBM. 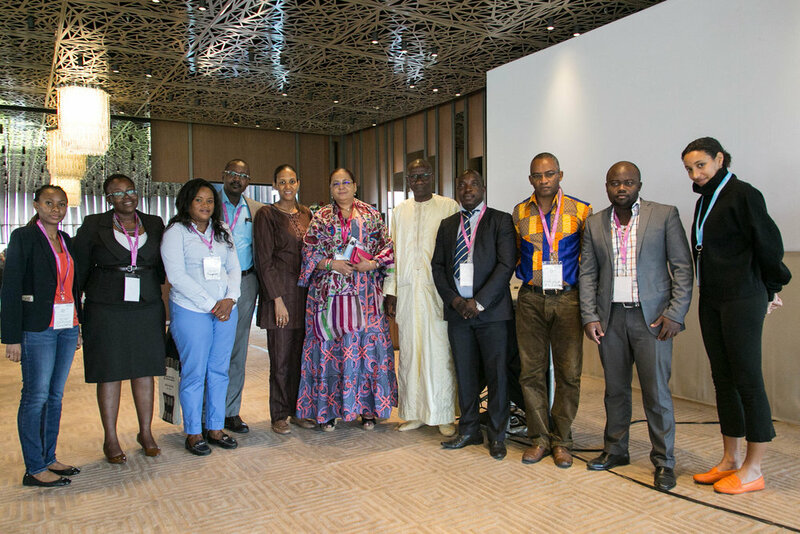 National Malaria Control Program Managers from across the African continent attended a briefing session to learn more about plans to scale up the “Zero Malaria Starts with Me” campaign to other countries on Tuesday. NMPM’s from both Francophone and Anglophone countries, including Guinea, Niger, Chad, and Botswana, were in attendance at the breakfast and given a preview of the proposed web-based toolkit being developed to help make the multi-country expansion easy for pilot countries. A specific example of how cross-border collaboration methods are being implemented was presented on Wednesday during a symposium entitled “Cross-border management of malaria control in Senegal and the subregion: Challenges and prospects”, led by Dr. Doudou Sène, Coordinator of Senegal’s National Malaria Control Program, and Dr. Balla Kandeh, Head of the National Malaria Control Program in Gambia. Dr. Sène and Dr. Kandeh detailed the steps taken during the program that has been implemented in regions near the Senegal-Gambia border. This included highlighting the similarities and differences in the fight against malaria in both countries and using that information to find the ideal tools and methodologies to meet specific elimination needs. Wednesday was also the day that the Malaria Summit took place at the Commonwealth Heads of Government Meeting (CHOGM) in London. The events of MIM were amplified on this day as business leaders, philanthropists, scientists, heads of states and civil society actors gathered in the UK to announce significant new commitments towards beating malaria. 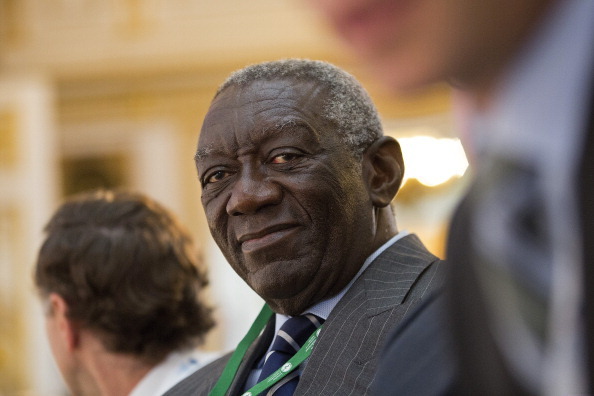 “We have made significant gains against malaria on the African continent. This progress has been the result of the sustained commitment from African leaders and the international community. But the gains made are fragile and there is no room for complacency. Failure to sustain and indeed strengthen our efforts will have humanitarian effects as well as cost implications for our respective countries. Today the Commonwealth has made a strong statement that it is ready to beat malaria. Let’s recommit to work together as governments, development partners, the private sector and communities to eliminate malaria for good. Zero malaria starts with me and with you,” said H.E. Dr. Barnabas Sibusiso Dlamini, the Prime Minister of the Kingdom of eSwatini representing His Majesty King Mswati III of the Kingdom of eSwatini and Chair of the African Leaders Malaria Alliance (ALMA) during the CHOGM Malaria Summit. “Zero Malaria Starts with Me” champions visiting the campaign booth in the MIM exhibition tent. In addition to the many presentations and discussions happening inside the conference center last week, there was also a lot of sharing of new technologies, drugs, tools, systems and more outside the center in the exhibition area. Daily visits to the tented hall, gave visitors an opportunity to ask questions and have in-depth discussions with teams staffing the booths of pharmaceutical companies, country programs, research organizations, NGOs and other stakeholders working to #EndMalaria, including a stand manned by Speak Up Africa staff for the “Zero Malaria Starts with Me” campaign. The week’s busiest booth would go to Vestergaard’s PermaNet 3.0. Set-up to resemble a home with a mosquito net flanked bed on the interior, the gathering space outside, complete with tables and stools, hosted conference visitors for lunch and discussions each afternoon. Syngenta found a way to make the malaria fight fun by using interactive games and hands-on tools at their stand, including a ball toss where players were rewarded for landing on countries where progress in malaria elimination had been made. Also interesting from the expo floor was the booth of The Global Good Fund, who introduced findings from their pilot field trial in Gambia that is exploring controlling malaria by improving the built environment through the redesign of doors and windows for homes. Prof. Omar Gaye, Chair of the MIM organizing committee, at the MIM closing ceremony. For more highlights from the 7th Multilateral Initiative on Malaria in Senegal review #MIM2018 on Twitter at www.bit.ly/mim2018-highlights.